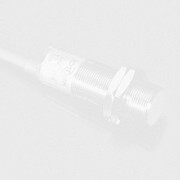 During 2008 we published information about many new sensors products from different manufacturers. Here's our editorial selection of those that we found the most interesting from innovation point of view. All these products have passed a two-stage selection: fist - for publication in the Sensors & Transducers Magazine as most interesting and relevant products; second - as most innovative products among all published in the Magazine during 2008. You'll find a brief description of products. If your interesting in more detailed description please check out the online version of this press release, which provides links to the vendors mentioned.